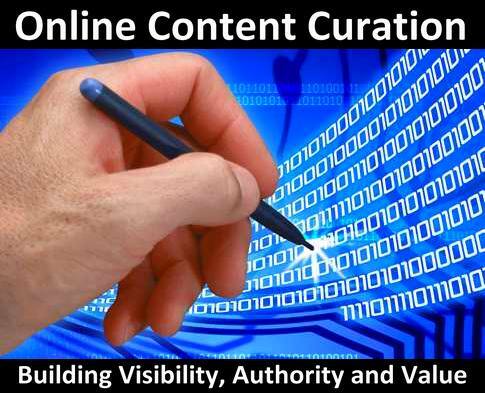 Why there is a need for a content curation? While you are online looking for an important info then you browse through a good number of websites and blogs that consume up good amount of precious time of yours. And to reach your specific information you need to go and get through huge chunk of useless of content in order to reach at your bit of important and relevant information. Even though power-users of net too uses RSS feed readers, aggregators and filters, and the there is too much of useful content out over there on internet that one have to be skilled to gain the best from the enormous amass of tweets, social media posts and blog posts and that person at meantime can also enjoy a respect as well as visibility online for the amount of work for what he is devoting his time as wells as skills. Real-time news curation is the method to find aggregate, filter, select, curate and then republish the high-quality news stories on a very specific theme, topic, or for a particular audience interest, problem, passion and topic. More Real-time news curation, is appearing to be a new online professional opportunity as a news curator, or newsmaster in sorting, editing, enriching and picking the most relevant news and stories on specific topics-themes one can earn good amount of money. Conventionally the content is researched through associated news wire agencies, affiliated news bureaus and direct reporters and other Medias, however in case of real-time news curation, it is the user who is the one who prefers the topics and his trusted curator / newsmaster and then subscribe it through a feed, social channel or newsletter. There are many a good number of benefits for a user through content curation. There are too many and best uses of content curation for users as it saves the valuable time for them and can get matches especially catering to their need and requirement. It let one to be updated on specific topic of all times. Let to have discovery of new news sources and market topics. Content curation further creates highly specialized and curated news channels, multiplies the number of opportunities for providing, unique, specialized information value to a cross section of audiences defined by their demographic locations.